A professor once told me if he read more than five mistakes in the first paragraph of a paper he’d stop reading. Mistakes, he explained, made a piece difficult to read because the reader would always be tripping over the errors. After hearing this, I began to adopt this philosophy. Although I must admit, I’m not a true stickler of this rule. While I won’t stop reading a piece or walk out the theatre of a movie or live production, I will simply turn off the attention switch in my brain. In the case of Chaplin The Musical, the attention switch didn’t turn off; however my focus was diverted to what the production could’ve been. Some stars act…some direct…some write…others compose music, but it is rare that one is gifted with the ability to do all these things exceptionally well. We bestow the moniker of genius on those who fit this description. Charlie Chaplin was one of the brightest stars to ever shine out of Hollywoodland. He and The Little Tramp (the character he created and played in the majority of his movies) were two of the most luminous personalities to come out of the silent screen era. As controversial as he was brilliant, his philandering ways and the expression of his beliefs kept him in headlines just as much as his record-breaking deals and movies. At the height of his popularity, Chaplin was imitated more than any celebrity of his day and the movies he created have been considered masterpieces. Charlie Chaplin’s story of English pauper turned king of Hollywood’s elite is definitely the stuff of legend. His brilliant use of mime, visual comedy and slapstick are still imitated today. Sadly, I would guesstimate that my generation or Gen Y knows little if anything about Charlie Chaplin or the dozens of movies he starred in. Sure, they may recognize the iconic Little Tramp from seeing him in reels about classic Hollywood, but they know virtually nothing about the man that conceptualized and played the character. 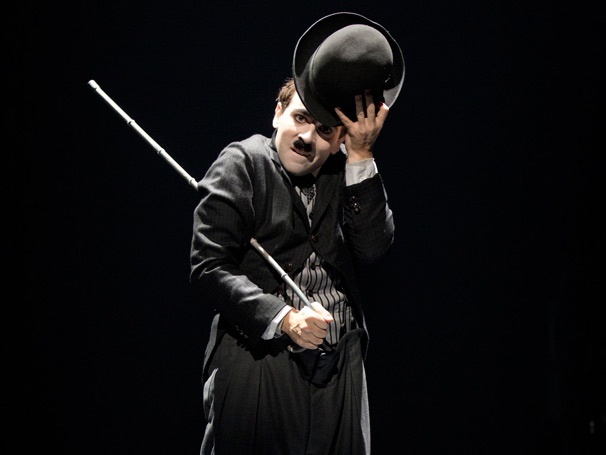 Chaplin The Musical is not the first work created about the life and exploits of Charlie Chaplin. In 1992, Robert Downey Jr. played Chaplin in a film about his life. In 1995, a musical titled Little Tramp played the Eugene O’Neill Theater Festival. 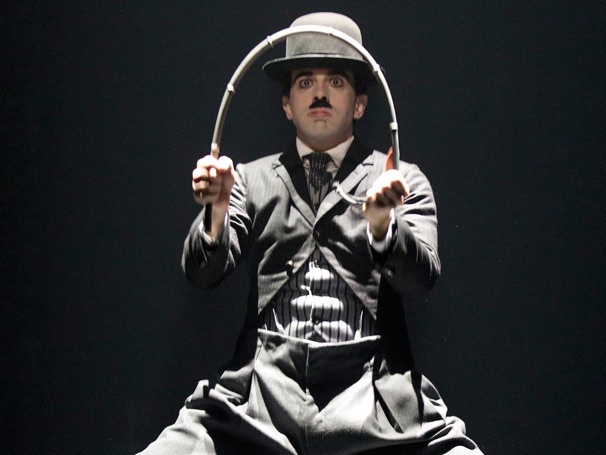 In 2010, Limelight – The Story of Charlie Chaplin played at the La Jolla Playhouse and is the basis for Chaplin The Musical , premiering tonight at the Barrymore Theatre. The productiontakes place during the years between 1894 through 1972 and chronicles Chaplin’s first introduction to a show business as a five-year-old, migration to Hollywood, discovery of The Little Tramp persona, meteoric rise as a film star, scandalous romantic relationships, activism, exile from the United States, as well as the relationships he shared with his brother, third wife Oona and the influence of his mother. 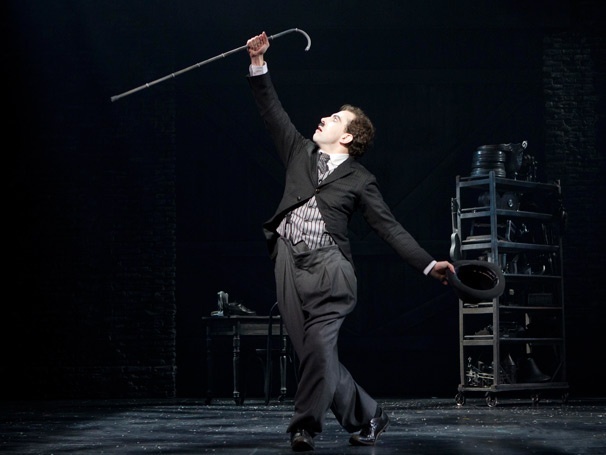 The opening and closing numbers of Chaplin The Musical’s first act begin and ends with Charlie Chaplin, played by Rob McClure, balancing on a tightrope while the people that influenced his life look upward. While this visual metaphor can be applicable to anyone’s life after 30, it’s an even better way to describe a production’s life on Broadway – any missteps and it’s curtains, literally. 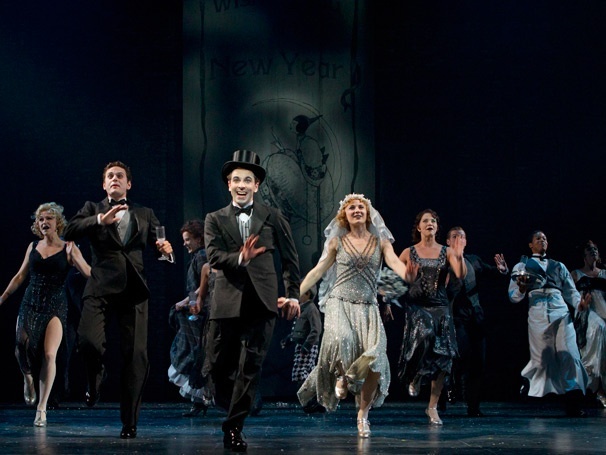 And although Chaplin The Musical doesn’t completely fall on its face, the highly conceptualized production makes myriad faux pas as a musical. Charlie Chaplin led a bold, colorful life, but that color wasn’t optically expressed until the end of the musical when the sets and costumes are transformed to brilliant Technicolor hues. Instead of emphasizing his extraordinary life in the color schemes of sets and costumes, the production, which is based on recollections from Chaplin’s memory, uses a more literal approach, making the sets and actors look as though they were an evening feature on Turner Classic Movies. The shades of white, black and gray detracted from the old Hollywood aesthetic, which I always thought of as lush and vibrant, and didn’t make the designs of Amy Clark and Martin Pakledinaz pop. The book, written by Christopher Curtis and Thomas Meehan, speeds through Chaplin’s life at such a rapid pace that it feels as if someone is pressing the fast forward button on a remote that is unseen to the audience. The dream sequences used to explain Chaplin’s complex relationship with his mother, who suffered from mental illness, could be lost on unsophisticated theatre goers. Christopher Curtis’ music and lyrics picked up steam in the second act with “All Falls Down”, “Where Are All the People?” and “This Man” being the brightest numbers in the musical, ultimately showing its potential. 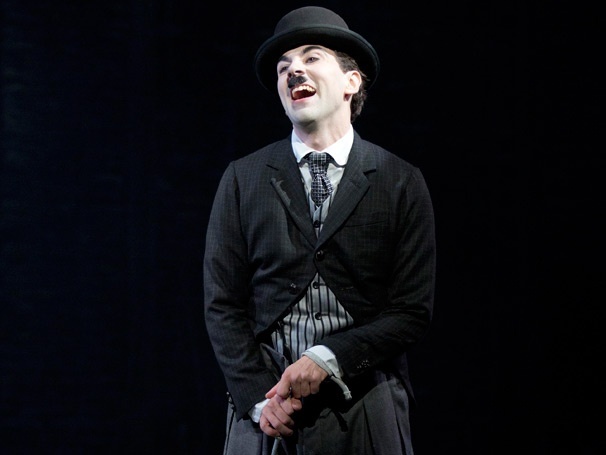 Rob McClure, a newcomer to Broadway, plays Chaplin. His portrayl of this icon shows real potential and McClure delivers the best numbers of the show with, Where Are All the People?”. The conviction in which he delivers the song shows me that Chaplin The Musical is just the beginning for this budding Broadway star. 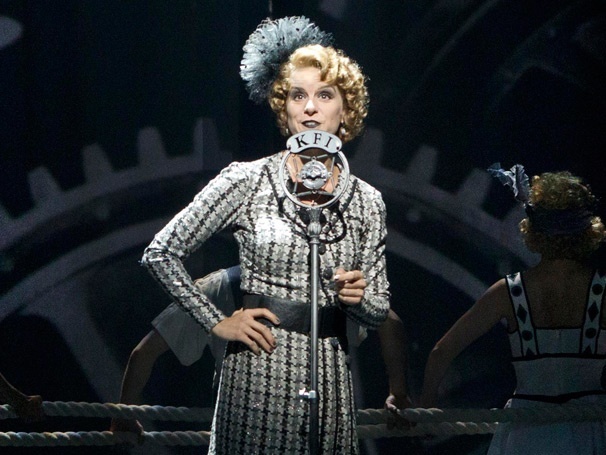 The breakout performance of this production came courtesy of Jenn Colella who played Hedda Hopper, a real life actress turned gossip monger. Hedda Hopper represents the yellow press that hounded the stars at that time. Colella’s relentless attitude made her enjoyable t to watch as the show’s only villain. Her singing voice was enjoyable as well as she delights in the “All Falls Down” number. If I could sum up my thoughts for this musical in three words, the words would be coulda, woulda, shoulda. Chaplin The Musical could’ve expanded the role of his mother Hanna, played by Christiane Noll, who was his greatest influence. The entire production would’ve translated better as a drama and all the sets and costumes should’ve been in color. For a man who contributed so much to American cinema and has largely been forgotten about, it is my hope that this production will at the very least spark a new interest in The Little Tramp. If so, then the gallant effort that is made in Chaplin The Musical would be a great feat.